Full of beautiful warm gold and yellow tones, these stylish made to measure vintage roman blinds are a fabulous way to bring a touch of design, warmth and real luxury to any room of the home. 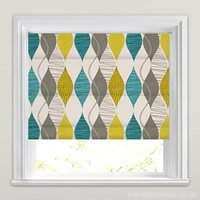 If retro is your style, then these designer fabrics are a fabulous choice. With both printed and embroidered designs to choose from, there is something to suit all tastes. Hi, thank you very much for my lovely well made perfect fitting blind. I do not think your service can be improved. I would not hesitate to order from you again. Very happy with the product and customer service. I had a smooth transaction. E-mail communication was good and item arrived within the timescales promised. Measurements were accurate to the millimetre leading to an easy installation. I have no complaints. Don't think it have could gone any smoother. 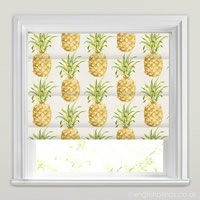 We have had 2 blinds off you and they are brilliant. Service has been excellent and we received a lot of help over the phone with our last order. It really was a good experience, the blind arrived and it fitted. It was easy to fit as I had the brackets already in position from a previous blind. The measurement I used was the material measure from the previous blind. It really was a simple process. I would definitely recommend this company. Thank you. I am a first time customer and have been very impressed with the service I have received from English Blinds. The web site was easy to navigate with a good selection of fabrics for me to choose from and the measuring service and price calculator were clear and straight forward. Perfectly easy to order and delivered as quoted. No problems at all. Very good, would definitely use them again. 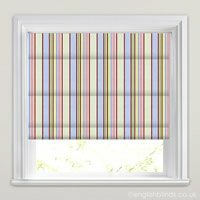 Lovely quality blind and easy to fit. Everyone has loved it. Thank you.